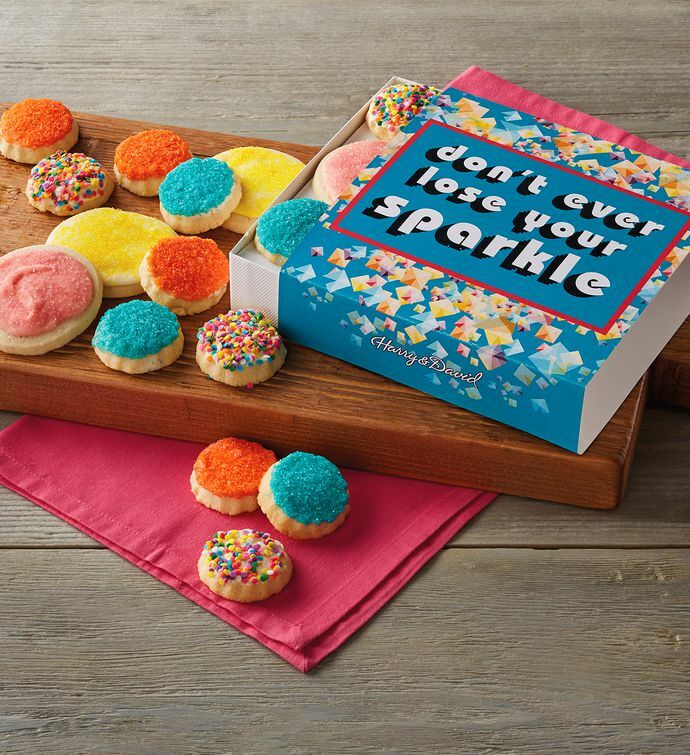 Brighten someone's day with a sweet message and delicious cookies made in our bakery. This cheerful cookie gift includes strawberry-frosted shortbread cookies and vanilla shortbread cookies decorated with colorful sanding sugars and fun confetti dots. A thoughtful gesture that's sure to make anyone smile.